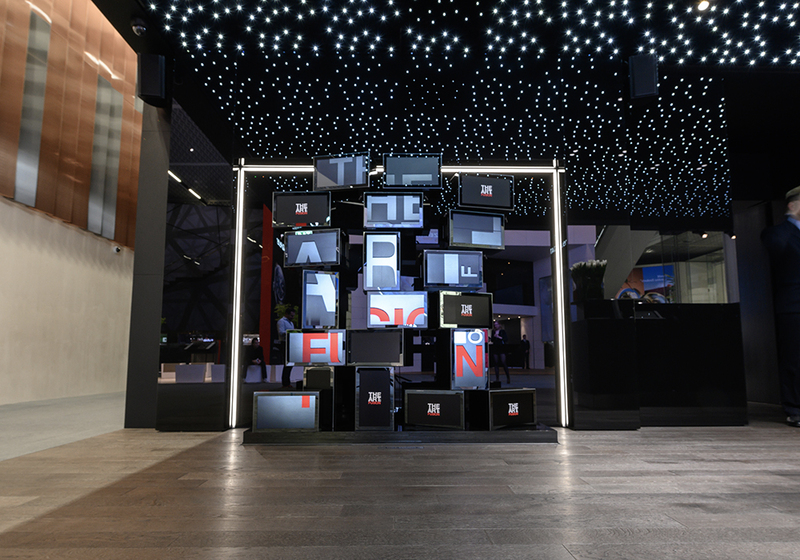 Trends and Colors magazine: R3 Art of Fusion, “living” dynamic installation at Baselworld 2019. 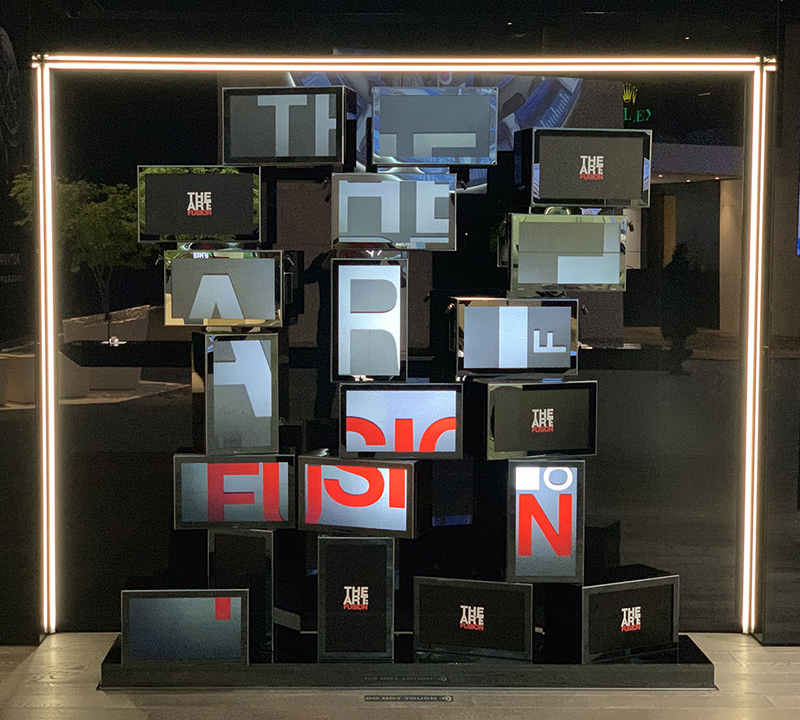 During Baselworld 2019, Hublot had a surprise in store with its dynamic installation combining innovation and poetry. 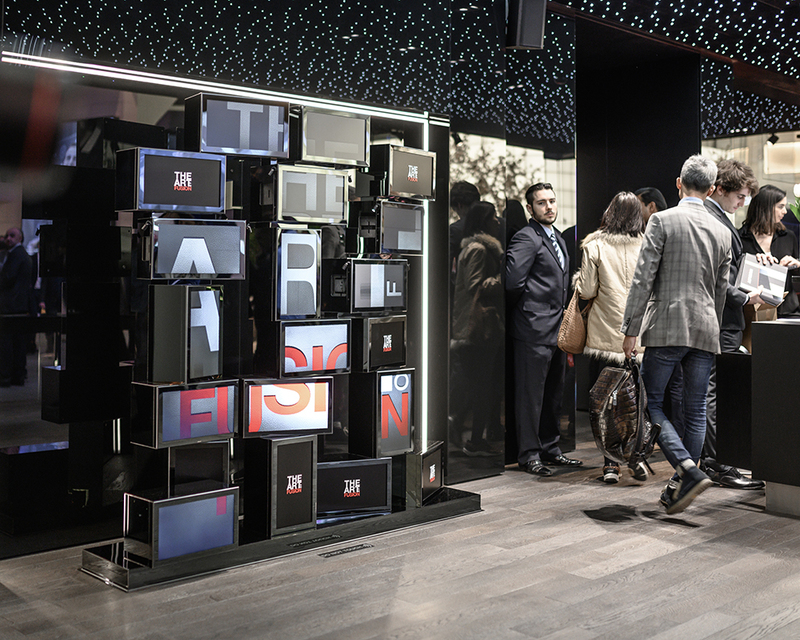 Consisting of 13 synchronized screens, this contemporary display case treated visitors to a show which subtly unveiled the brand’s latest products. 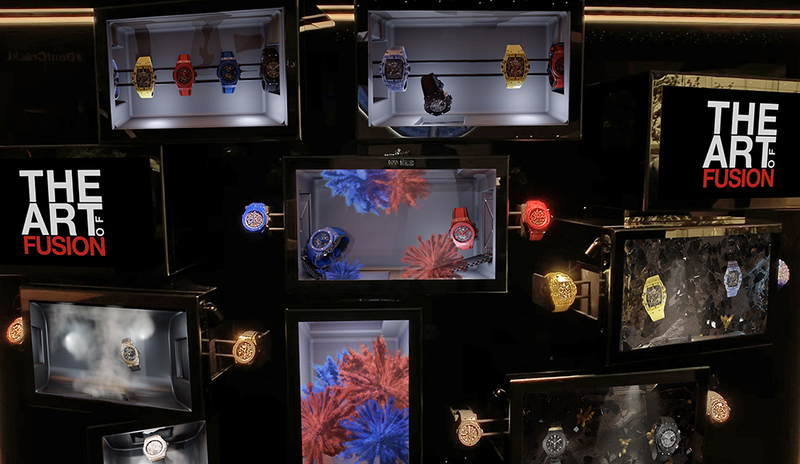 The real timepieces disappeared, reappeared and played with images in a rhythmic animation. This innovation was the fruit of the friendship between Xavier Dietlin and Xavier Perrenoud. At a very early stage, they both agreed that traditional display cases were outdated. So the two companions set out to create a display case that took the form of an animated sculpture rather than a conventional case. Eighteen months later, the “Raptor 3” was unveiled. 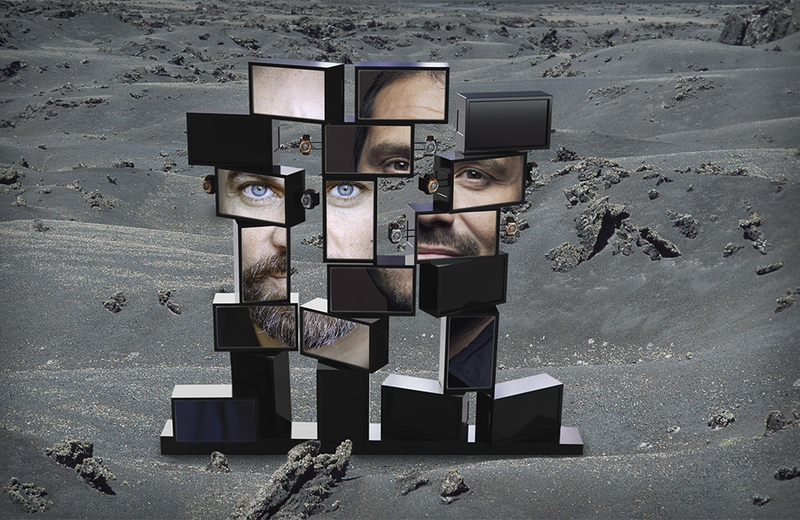 During a conference at ECAL in September 2018, Xavier & Xavier stopped in front of a temporary installation consisting of 3 screens placed in a row. And so the idea of positioning images next to each other was born. Having explored the work of Korean artist Nam June Paik and of Jean Tinguely, they decided to work together on creating a living video wall in which watches would appear and disappear. Art of Fusion is a bridge between the Swiss engineering of the Fribourg-based artist and the Korean creator’s world of video art. Together, they create a gateway between the past and the future, between the art of watchmaking and the digital world. This is without a doubt the next challenge for the watchmaking industry. In technical terms, this installation required a multidisciplinary know-how based solely in the region of Lausanne (Romanel Valley). It took more than 1,000 hours of work to create the sculpture. 300 m of cables connect each of the components to all the others, enabling them to communicate. The products can retract at a speed of 10 m / second and an ingenious system of infra-red sensors detects the presence of visitors who are proving to be a little too curious. Lasting 90 seconds, the show was performed every 3 minutes at Baselworld 2019 (250 times a day). It was a hit on social media and won the approval of the brand’s retailers around the world. Art of Fusion will soon be traveling the world to be presented at all the major events organized by the watchmaking brand from Nyon.